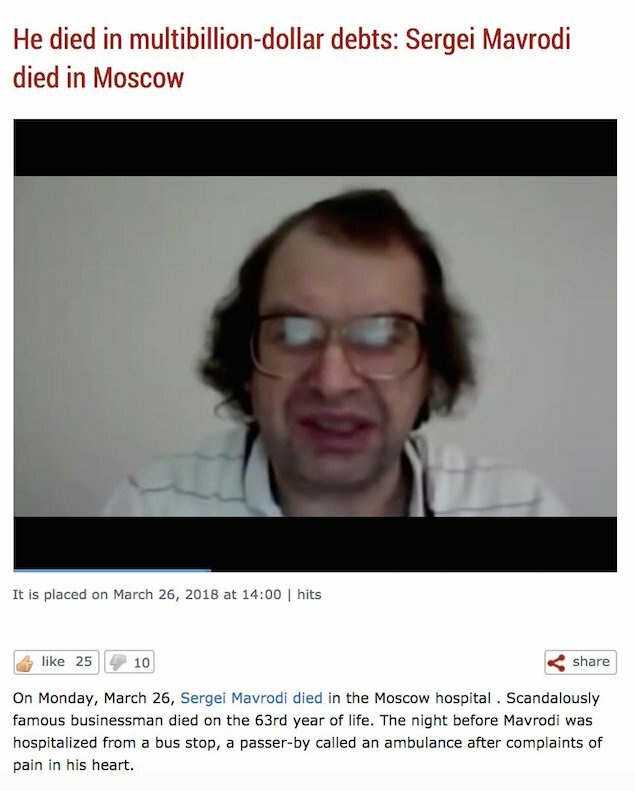 Rferl reported that Mavrodi was rushed to the hospital late on March 25 with pain in his chest and died several hours later. He reportedly died of heart attack. The Russian criminal was also a former deputy of the State Duma. Mavrodi’s MMM financial pyramid was a typical Ponzi scheme in which earlier investors receive their profits from subsequent investors. 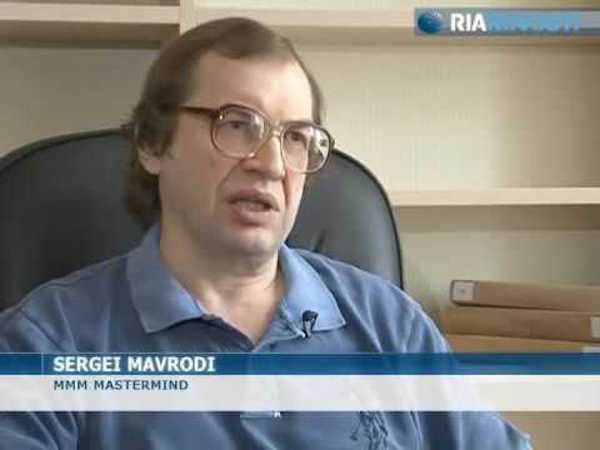 In 2007 Sergei Mavrodi was convicted in a Russian court of defrauding 10,000 investors out of 110 million rubles ($4.3 million). He also defrauded millions of others around the world. According to Moskovsky Komsomolets, a Moscow-based daily newspaper, Mavrodi, died in multi-billion dollar debts. Between 2015 and 2016, many Nigerians were defrauded of their life savings, resulting in some commiting suicide. In 2011 he launched a similar scheme in India, called MMM India, again stating clearly that the vehicle is a pyramid. He also launched MMM in China. He was reported to be trying to expand his operations into Western Europe, Canada, and Latin America. As of September 2015 it had spread rapidly in South Africa with a claimed 1% per day or 30% per month interest rate scheme and warnings from both the South African and Russian Communist Parties for people not to participate in it. In early 2016, he continued the same model in Zimbabwe (the accounts were frozen in September 2016), and later, in Nigeria (accounts frozen in December, 2016). MMM Nigeria reopened activities on the 13th January, 2017.